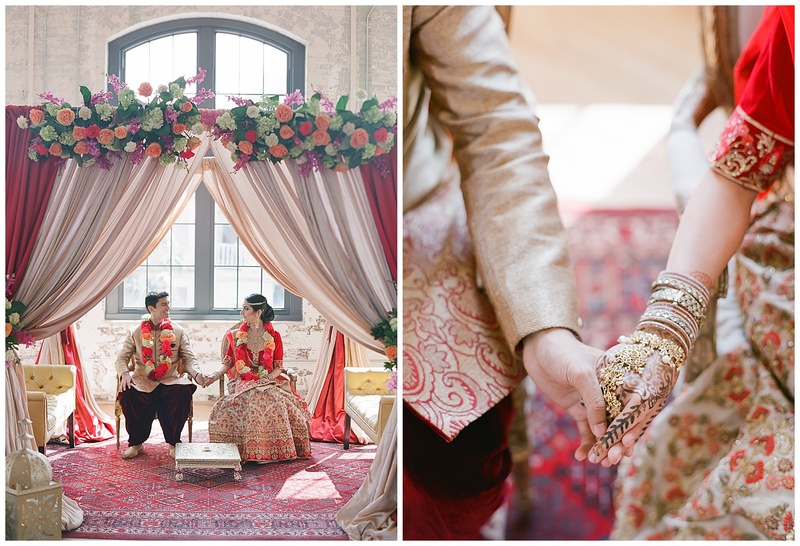 We’ve all seen photos of Nick Jonas and Priyanka Chopra’s Jodhpur, India, nuptials by now, thanks to how social media was lit up with the bright colors and ornate designs of their festivities. 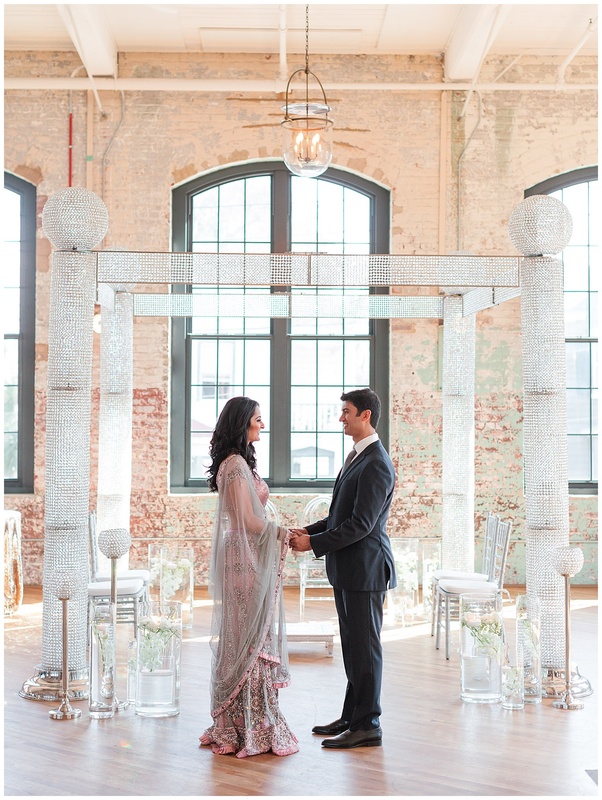 But Charleston has its own thriving Indian community, too, and being a destination city for weddings means we also have a serious influx of Hindu celebrations. 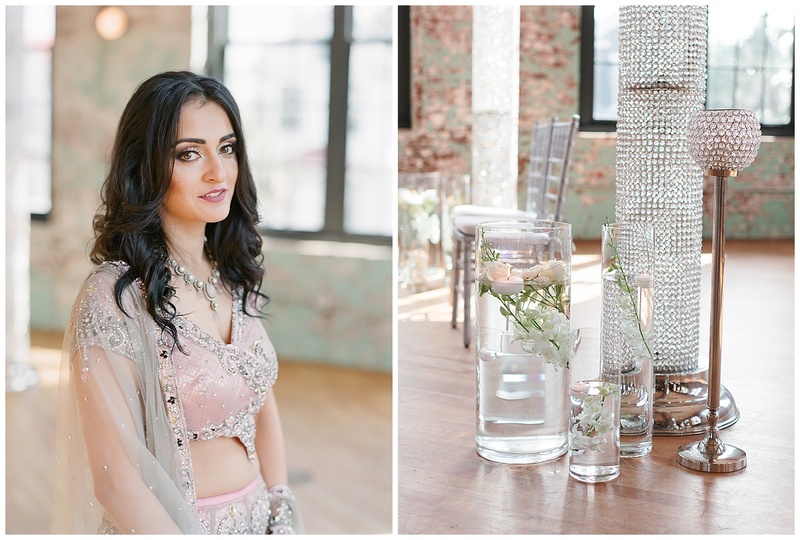 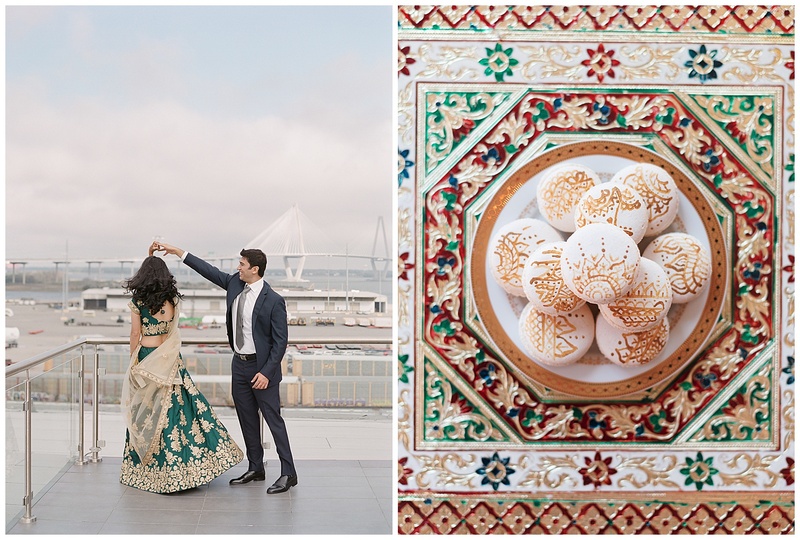 Photographer Justin Brown from The Happy Bloom knows this and wanted to set up a styled shoot to dress a popular Holy City venue—The Cedar Room—in Indian wedding day garb. 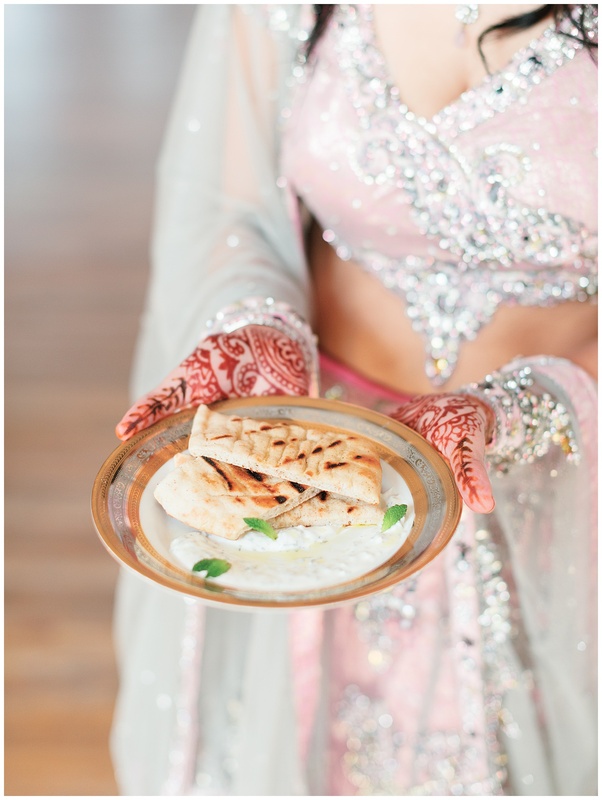 The impetus was in part practical —these images will appear in his portfolio (and on the sites of the other participating vendors) showing potential Indian and Indian-fusion wedding clients that he and this crew can truly pull out all the stops for them—and it was also based in fun, as Indian weddings are plain stunning in their array of décor, fashion, patterns, flowers, and decadence. 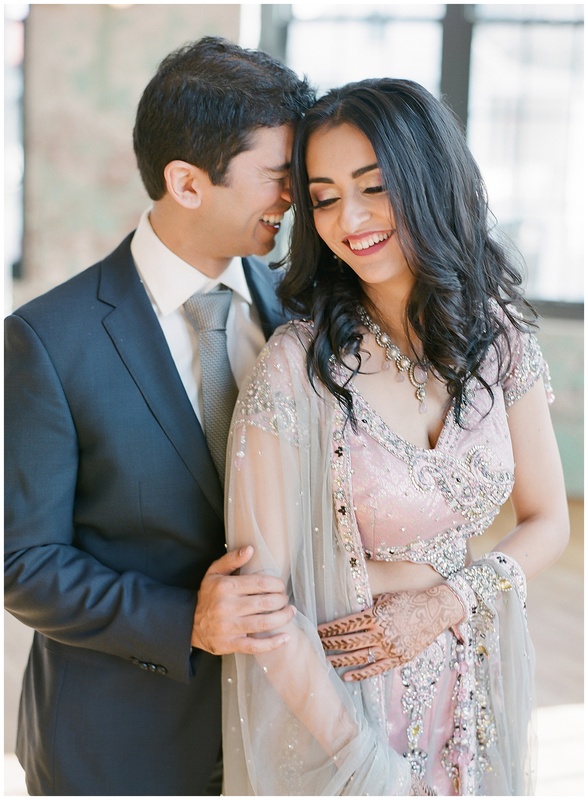 As you scroll through, know you’re looking at three faux ceremonies that star real-life married couple Arpan and Neha Kotecha. 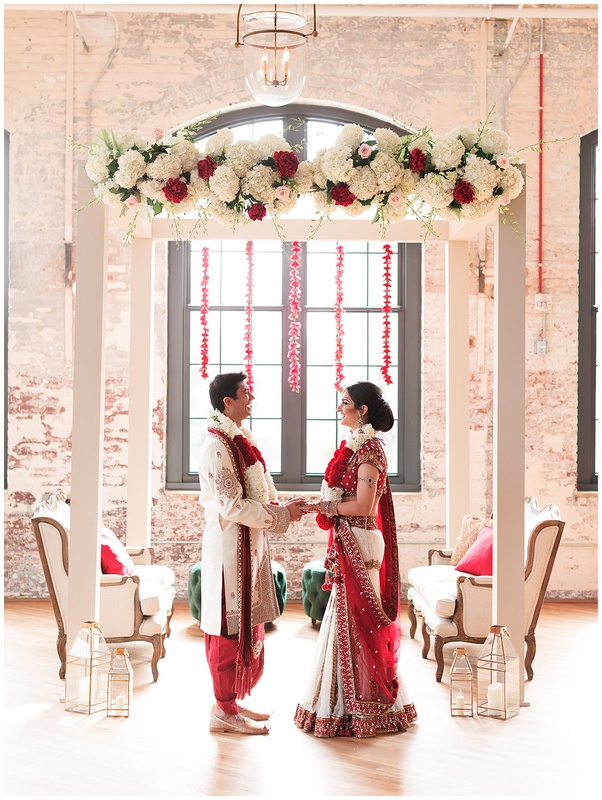 Loluma fashioned one modern, one traditional, and one opulent Hindu wedding tableau with a mandap (a covered structure used in Hindu weddings) at the center of each. 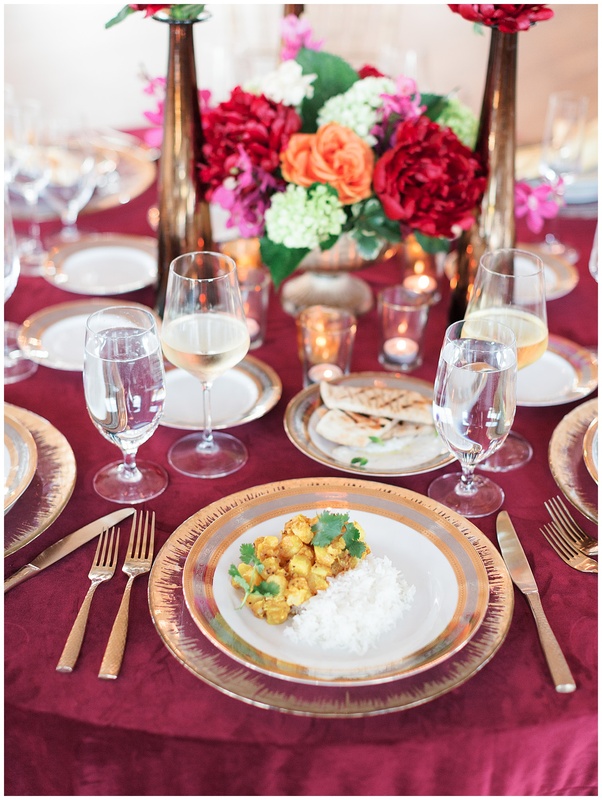 “Our modern look was a clean and elegant white wooden structure with simple furnishings and décor pieces,” says event coordinator Kristin Massey. 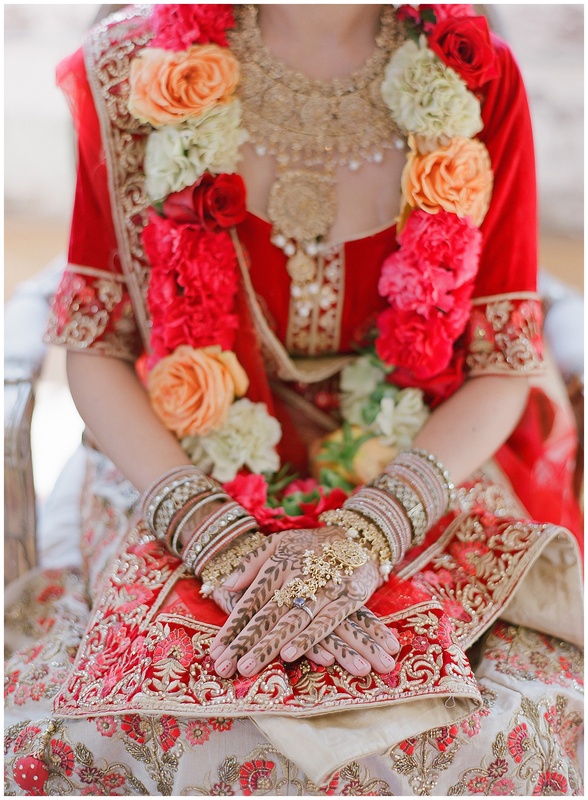 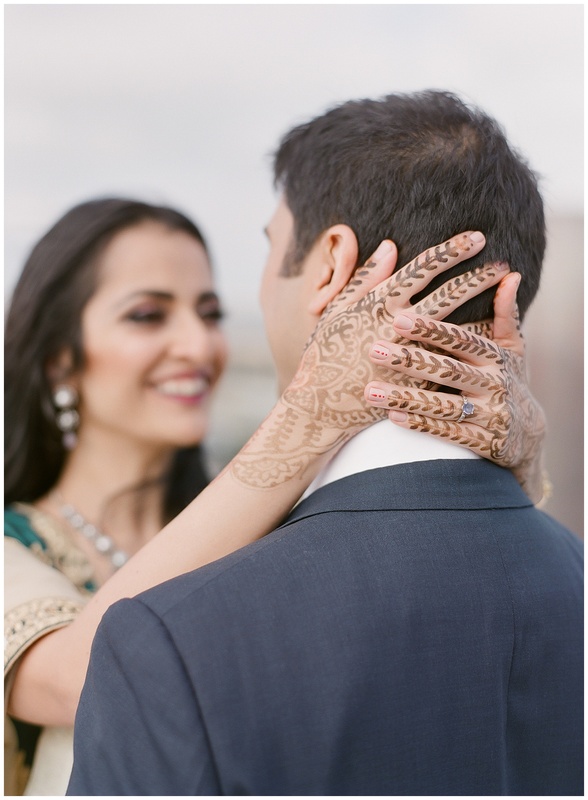 “The traditional look was built around a classic, heavily-draped mandap with lots of bright colors and golds. 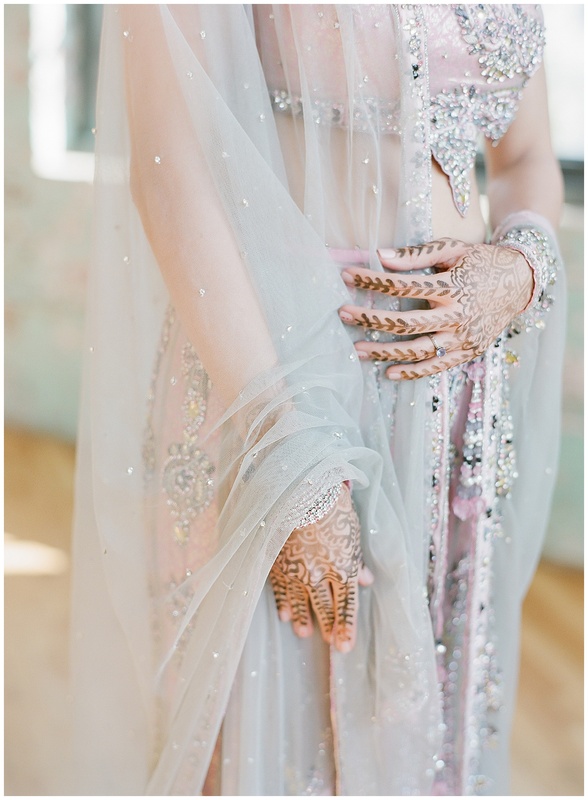 And our opulent look included an embellished crystal mandap with classic furnishings and sparkling décor.” Bride Neha wore a different ensemble for each ceremony, but each included a good-fortune palette. 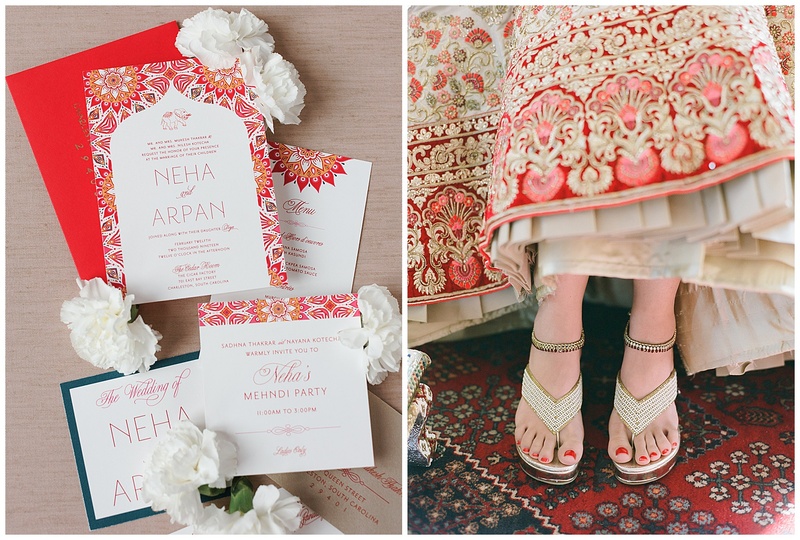 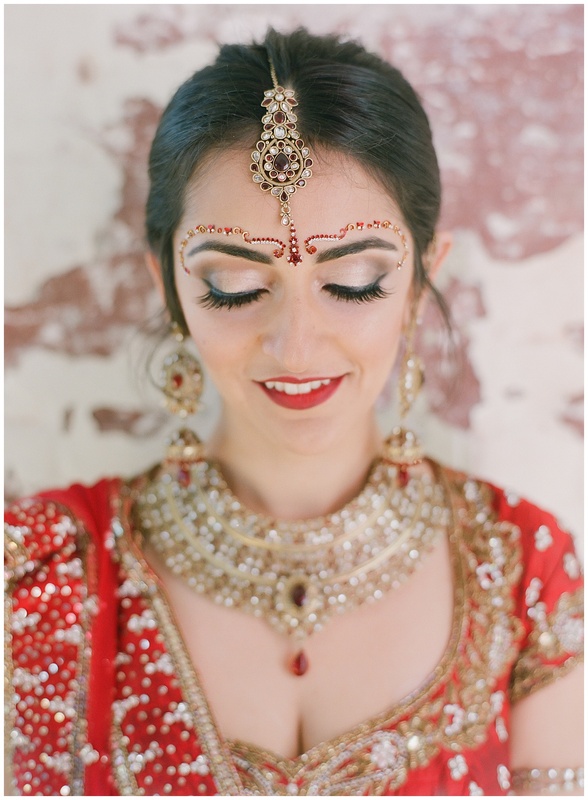 “Hindu brides wear shades of red and white to represent Mars, the planet that signifies marriage, prosperity, and fertility,” says Neha. 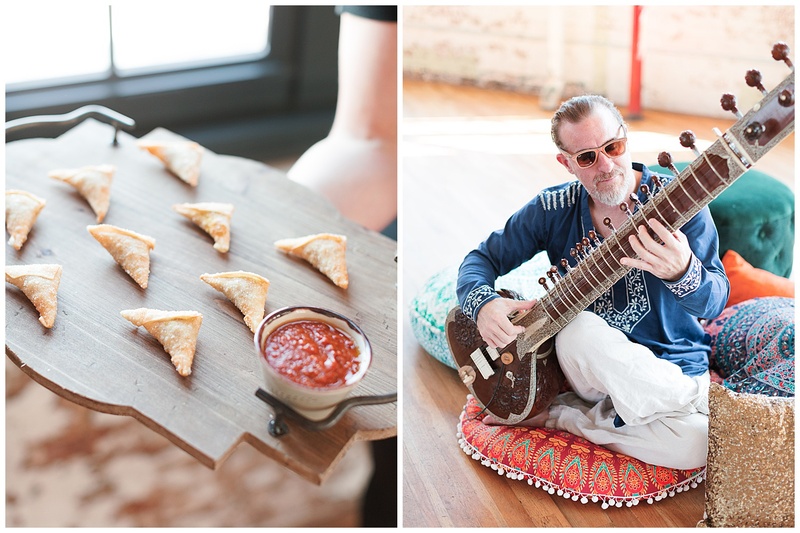 As for the menu, Chef Tim Morton of Mercantile and Mash cooked up spiced chickpea samosas, butter chicken, and potato curry here; he tells us that he and his team can also create dishes specific to a couple’s home region. 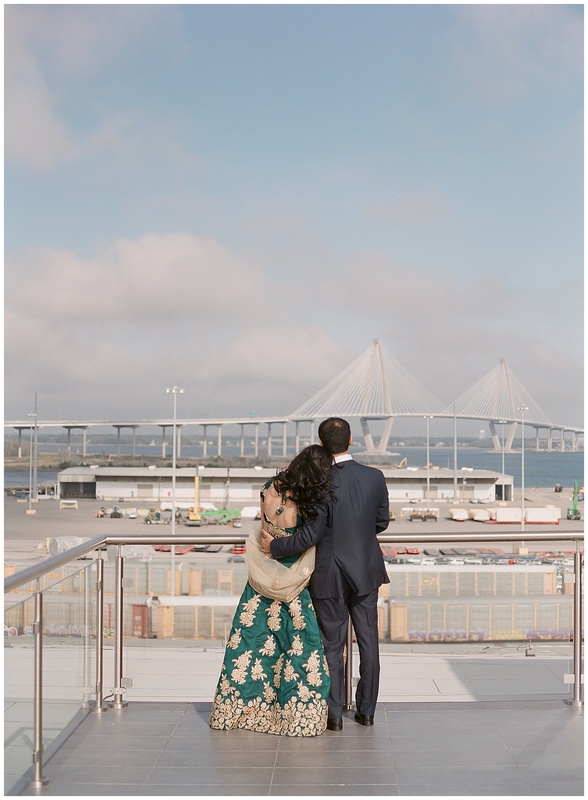 Last? 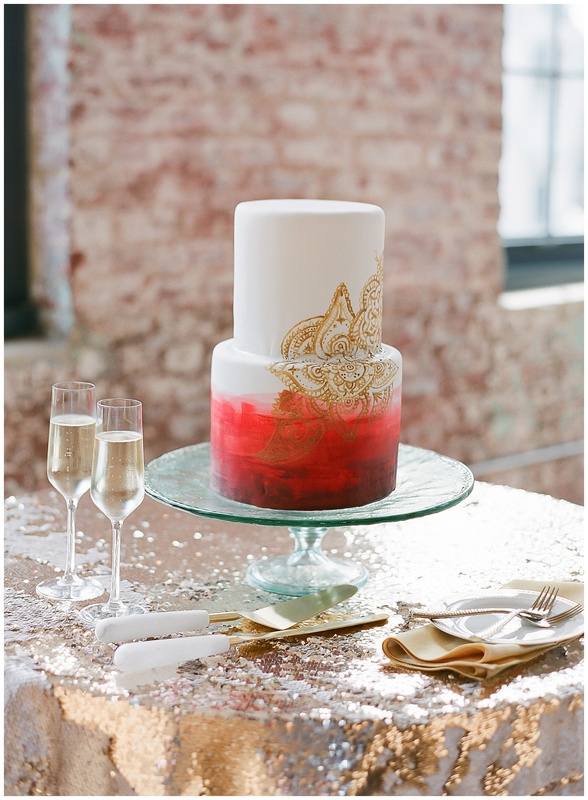 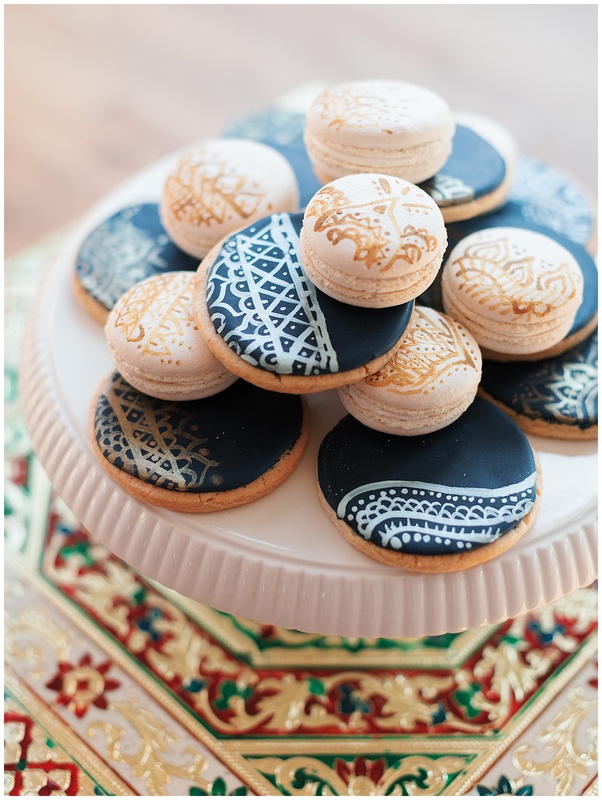 The pastry team and Merc and Mash added a touch of fusion with a wedding cake and macarons inspired by henna patterns. 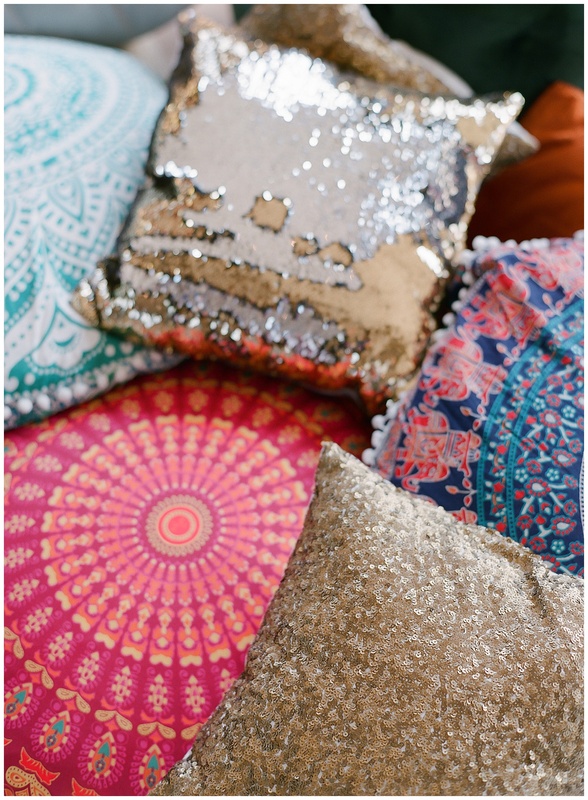 Feast your eyes on the lot of it, and cheers to our city’s rich cultural quilt.